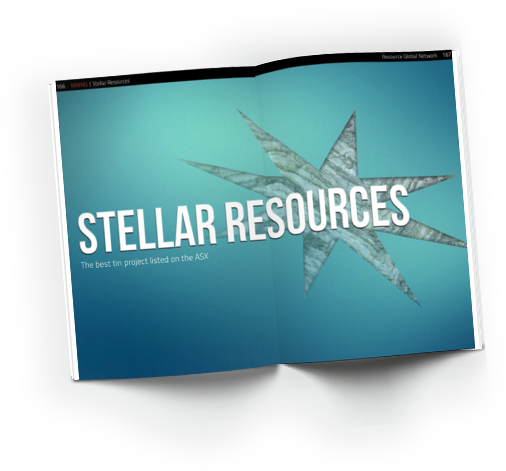 Stellar is a tin exploration and development company. Its flagship project, Heemskirk Tin, is the highest grade undeveloped tin deposit in Australia and has excellent potential for resource expansion. Located near the historic mining town of Zeehan in northwest Tasmania, Heemskirk benefits from ready access to transport infrastructure, power and water. Stellar‘s objective is to establish Heemskirk as Australia’s second largest tin producer. Checkout our feature in the Resource Global Network! Rio Tinto Ventures is looking for new areas in which to invest and Head of Ventures, Mr. Andrew Latham, discussed metals impacted by new technology at the Lithium and Battery Materials Conference in Perth on 21 March 2018. 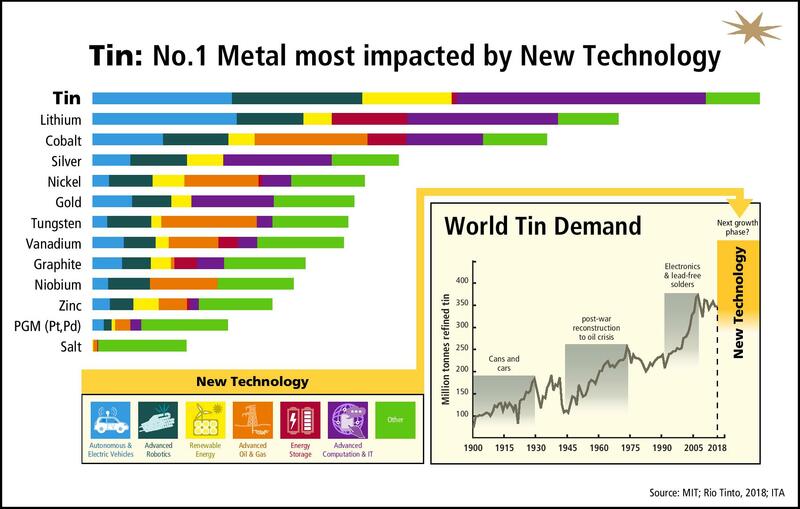 He highlighted analysis by the Massachusetts Institute of Technology (MIT) into the metals required to meet evolving demand. MIT explains their approach as doing a functional match between the needs of new technologies and the properties provided by each commodity. For example, if a technology innovation needs conductive materials, it is matched against any commodities that have good electrical conductivity. The commodities are then scored on three metrics: (1) ease of substitution including dematerialization trends, (2) likelihood of market disruption due to the technology and (3) potential size change of commodity demand from the technology compared to the current market size for that commodity. The scores are then summed up across the technologies considered in the study. Tin scored very highly using the MIT framework because of (1) the potential for increased demand applications particularly in the electrical and energy storage areas and (2) because these demand changes might be fairly large in comparison to the current market size. Other commodities had a larger potential for total demand increases, but these were for commodities that already had quite large market sizes.